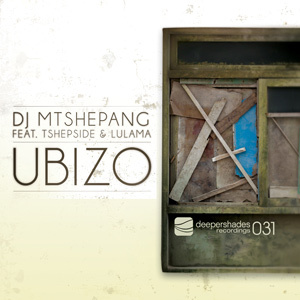 A song built with core African soulful elements, multiple layers of African rhythms and a massive build-up of Zulu chants and vocals revealing and uncovering UBIZO - "the calling", connecting with the ancestors. Acknowledging and using the values for guidance and finding a purpose in life." Vocals where recorded in Zulu which is a South African official language, Zulu is much related with Xhosa. They are descended from a clan of the Nguni. A majority of those speaking Zulu are based in the Kwazulu-Natal. Can't go wrong with my Man Jose on the Mix.. Dropping this tonight! DIGGING THE INSTRUMENTAL... JOSE ROCKING THIS!!! Nice remix by Jose Marquez which always brings another level with every tracks he remixes! Great! Full support and chart. More Deeper Shades eccentricity! Love it, straight into the crate for House Afrika SuperRocking! Jose rarely disappoints, the instrumental will be getting some from me. Spiritual all the way !!! thanks for the new DSOH promo, i prefer the instrumental, without the vocal i can get easily into Jose's hypnotic groove, im going to play this for sure! Great production from Mr Marquez! The instrumental is the one for me here. This is one hot release from DSOH, I like the fat bass that keeps the song grounded and the percussion that comes in throughout the song, but most of all i dig the synths that give the song direction and a solid club feel allowing it to be a definite club friendly track. Great remix from Jose Marquez 10/10!!! Jose always does good work and Deeper Shades always puts out good music! Jose's mix is on fire!!!!! Wow Jose's remix is amazing! Support! Really feeling this very much! Both Orig & Jose Marquez mixes for me - I'm on it. Jose Marquez Instrumental mix for me!Nice beat!! !and good production! WOW, great package love all the mixes, supporting for sure! i'll play this saturday original !! Quality as always. Marquez instrumental is my fave. really diggin the instrumental... nice playback... maybe I'll try the vocal too. thanks! I'm ready to play all the tracks! Nice collection of deep variations. Diggin' the instrumental moods of the original & Shaheedmo colorful mixes. statement for the good good of spiritual deep house. great package, can't even name my fave yet. Slamming package of mixes !! Jose's mixes are the pick for me - great stuff again from deeper shades! Already charted the mega Jose Marquez mix ! But Vinny also brings some soul heat as expected ! Great vibes all round ! Jose Marquez mix is great ! Wanna try on the dancefloor...thanks!